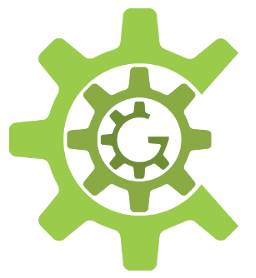 Tech Valley Center of Gravity is a makerspace, creative community, prototyping center and manufacturing business incubator. Our new Prototyping Center is now open as of March 21st 2018. The Manufacturing Incubator at TVCOG, powered by IMC, is also open and screening applicants. Tech Valley Center of Gravity is also home to the ThinQubator, one of the world’s first fully-designated and outfitted children’s makerspaces. Hours: Our facility is always accessible to members during the times allowed by their membership level. Our office hours are Monday-Friday from 9 am to 5 pm. The public is welcome to join us for tours and to explore our facility every Tuesday from 6:30 to 9:30 pm during our weekly Open House and Social Hour. If you are unable to join us on Tuesday evenings, please feel free to reach out using the information above to arrange an alternative time for a tour. And, be sure to check our Events Calendar for classes and events open to the public. The THINQubator is a kids makerspace inside the TVCOG, specifically designed and equipped with projects, materials and equipment that help inspire the next generation of makers. The Manufacturing Incubator is focused on mitigating risks for product start-ups, providing expert advice and coaching to help clients prioritize actions and move forward. The Prototyping Center provides affordable access ao advanced prototyping equipment, hands-on training and manufacturing space for hardware start-ups and small businesses.